Absolutely deplorable. 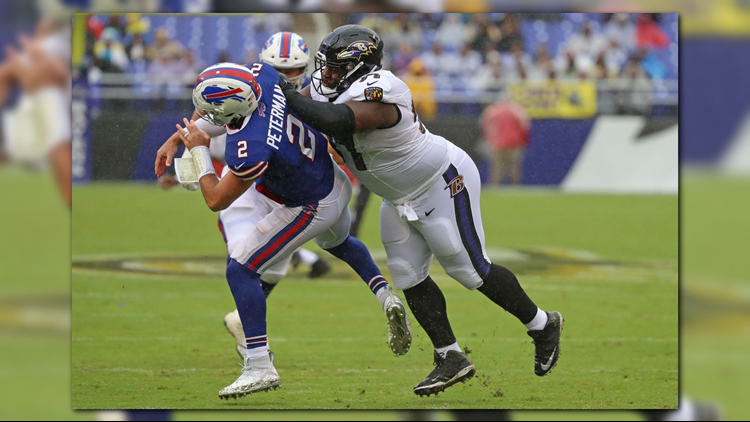 There is no other way to describe the ineptitude put on display by the Buffalo Bills Sunday afternoon in their season-opening 47-3 loss to the Baltimore Ravens. Before the half ended, Peterman served up the first of his two interceptions which set up a Tucker field goal, and after the Bills twice failed to recover a muffed punt, the Ravens made them pay by driving 85 yards to a Flacco TD pass to Michael Crabtree that made it 26-0. At the end of the third quarter, the Bills had six first downs, were 1 of 12 on third down, and 83 net yards of offense.